A cartoon by Edik Balaian as published in the AIM Magazine June 2000. Let’s see how many we remember who “immigrated” to Armenia in funerary casket?? The latest being Alex Manoogian. See how many of these who lived their entire lives outside of Armenia, not necessarily in faraway places like America, France.. etc. but a walking distance from Yerevan like Tiflis, baku etc…. “ immigrated” (in a box) were reburied at the..Pantheon. Published in 1983, in the Eastern US (NY, Boston?) under the auspices of the AYF-ՀՄԸՄ/ARF. There is a footnote. This song describes the present condition of the Armenians who must live in the Diaspora. It describes the dispersion, assimilation and foreign surroundings the Armenians must endure, and laments the separation from the Fatherland. Each verse ends in the hopeful refrain “hambere/Be patient”. At times those words have been amended to “Baykareh Hokis Baykareh”. ** Struggle my soul Struggle. Because patience is not enough… we must struggle to regain independence. *** Some people call “struggle/ՊԱՅՔԱՐ” jihad. Edited by Arpa, 21 February 2011 - 07:34 AM. What is the present population? Daily we hear that the population is 3.5 million, frozen since soviet times. Emigrate/Արտագաղթ means to move out, and immigrte/Ներգաղթ means to move in, while migration/Գաղթ (For those who speak armiansky-Միգրացիա) is neutral it can be in either direction. The Armenian Government is concerned over emigration from Armenia and is taking steps to reduce it, Premier Tigran Sargsyan told Armenian TV channels. “Of course, we are concerned over the figures we get from the Migration Service. So we approved special programs to reduce migration and create favorable environment for our national that are willing to return,” the Premier said. Edited by Arpa, 27 February 2011 - 06:59 PM. That's what I'd like to know as well. How can Armenia have 3.5 million people? Over a hundred years ago Armenians of the eastern provinces of Armenia, like Kharberd and Sebastia moved west in droves to places like stanbol and beyond. And, who do you think filled the void? Who do you think will fill the void created by all this migration to the west and north? Hint. Not Diasporan Armenians. Guess again. Not Armen Armenian but mehmet alioghlu. If those idiots cannot win the hot war YET, they will eventually win the cold war of demographics. Talk is cheap. Don’t look at me. So. Who among us is repatriating to Aparan? Yeah, yeah we know all about the Ari Tun program. How many did? If Ms. Hranush did not have that well paying job of Minister of Diaspora, how long would it be before she also emigrated? If and when Ari Tun happens, when 5 million diasporan western Armenians resettle will she spell her surname to HagopIan, Յակոբեան and will Mr. Serzh rename himself SargIs SargIsIan/ Սարգիսեան? When is the last time you heard this slogan- “Russia wants Armenia, but without Armenians”? Migration experts warn that Armenia faces a serious demographic disaster, brought on by emigration, and urge the government to see the risks in a program, introduced by the Federal Migration Service of Russia, which offers Armenians easy conditions for permanent residence in Russia. The program of residence in Russia has been introduced in Armenia for two years, and it has been implemented enthusiastically since 2010. According to the decree on supporting voluntary immigration to the Russian Federation, issued in 2006, all those people who want to reside in 26 regions of Russia (especially in outlying regions), not only get a job, a lump sum payment, a compensation for departure and their belongings transfer, but they also receive citizenship of Russia within a few months (not later than six months, as prescribed by a law). Depending on the locality, a one-time payment could be between $4,000 and $8,000. Job opportunities in Russia also vary depending on the existing demand in particular areas, but the matter mostly concerns unskilled labor. On average 60,000 people leave Armenia permanently annually in recent years – most to Russia – and 1.1 million people have left Armenia since its independence. Prime Minister Tigran Sargsyan in his February 25 interview stated that the government is worried about the emigration issue, mainly the figures provided by the Migration Service, and it has approved a special program which “is directed at decreasing the emigration rates and creating favorable conditions for our compatriots’ repatriation.” However, the prime minister’s statement inspires no hope for those who want to compare his statement with reality. “What does ‘it worries’ mean, if they [the government] cannot even prevent the program which leaves Armenia without Armenians, initiated by their strategic partner?” says sociologist, expert, Ruben Yeganyan (who has worked with UN and other international institutions on the issue). Daily about 100 potential migrants visit the Armenian Office of the Federal Migration Service of Russia (where constant queues are formed), about 10 applications are submitted each day, and according to the head of the Armenian Office, about 7 out of 10 are accepted. Seminars about the program are held in provinces of Armenia, too; however, it is not advertised through wider means, which, according to Jhirayr Sefilyan, head of ‘Sardarapat’ opposition movement, was done with a special agreement. “According to my information, the government said, “Do that program but do it as quiet as possible’,” Sefilyan says. The specialists of the service work with more target groups. Svetlana Stepanova, head of the representation of the Migration Service of the Russian Federation told ArmeniaNow that she spoke about the program in various provinces of Armenia. “I have been to Ijevan, some villages of Lori province, Armavir, and we have explained to people the details of the program. We present our program, but we do not preach anything,” Stepanova says. According to Stepanova, about 2,000 people left Armenia, applying to that program last year. Most of them were populated in Kaliningrad, Tambov, Kaluga and Lipetsk oblasts (regions) of Russia. “In fact, we are not very much satisfied with the results. Many people come and say that they want to apply for jobs only, and not for a permanent residence; Armenians love their country,” Stepanova says, adding that so far this year the number of people who are interested in the program is 2.5 times more as compared to last year. Meanwhile, many have speculations that the presented figures are decreased deliberately. “In 2010, when this program was redrafted and became more profitable and attractive (because they promise to settle problems connected with jobs, residence, citizenship, they give allowances, and even pay off the travel expenses), the index of emigration from Armenia, according to official data, increased by 39 percent as compared to 2009. And this happened, when there was [economic] crisis in Russia and even working migrants did not leave for that country,” French-Armenian public figure, war veteran Sefilyan told ArmeniaNow. According to the data of the General Department of Civil Aviation, last year the number of people who left Armenia was 87,000 more as compared to 2009; moreover, 60,000 of them left with no plan to return. Nevertheless, these indexes do not worry Gagik Yeganyan, the head of the Agency for Migration Issues within the Ministry of Territorial Administration. He believes that the number of people who leave Armenia by the program is not mass migration. “If it were ‘mass’, we would know about it,” he says. “Russia settles its demographic issues, it collects labor force. Many other countries do the same, for example, Canada, New Zealand. It is a normal policy,” Yeganyan told ArmeniaNow. Meanwhile, demographers are concerned over who must address the issues of demographic decline. “The situation is really dangerous, because the generation of those years (1980s), which provided the highest birthrate, currently has only 40,000 children annually, meanwhile when the turn of becoming mothers for the generation of 1990s comes (averagely 30,000 children annually), we will register a sharp decline,” Karine Kuyumjyan, who heads the Population Census and Demography Department at the National Statistical Service of Armenia, told ArmeniaNow. Edited by Arpa, 02 March 2011 - 09:56 PM. Above we saw that IMMIGRATION is mainly done in a casket. The latest is the debate of what to do with the breathless body of that immortal artist Flora Martirosian and which Pantheon to entomb her. My question. Why was she in and died in America in the first place. I will reproduce the entire article from HETQ since in time it may be removed. The author does not seem to be Armenian. Also see the population chart that does no reproduce here. Armenia has a people problem. While many Hayastancis may be proud of their country, they’re leaving in droves, having less children, and aren’t hopeful about their futures. Emigration and a low birthright are existential challenges for Armenia that its leaders are not able to face. Instead of promoting bad policies like paying for families to have children, we could use those resources to make Armenia a country people want to live in. Since the fall of the Soviet Union, Armenia has had an emigration problem. The World Bank estimates the peak of Armenia’s population at 3.54 million in 1990. Now there are 3.1 million. During the Soviet Union, Armenia had a growth rate of 1.5%. If Armenia had the same growth rate since 2003, when the population started to increase again, Armenia would have 3.5 million people. We’re missing 400,000 people. Where are those people? Emigration and a dropping birthrate are the key explanations. The birthrate per woman was 1.74 in 2010, below the approximately 2.1 children needed to sustain a population. It’s estimated that 97,000 people have left Armenia as of September, with about 39% of Hayastan’s wanting to leave permanently. Fortunately, Armenia’s emigration rate is improving, as it is currently -3.35 per 1,000 people instead of 2010’s net migration rate of -4.9 per 1,000 people. The government has tried to limit emigration through ineffective mechanisms. The government can’t stop people from leaving, but it has tried to make it harder for people to leave rather than try to make them want to stay. This summer, the government instituted a new policy requiring Hayastancis that leave the country for six months to tell the local embassy or be fined 3,000 dram. The fine, for now, isn’t large, but the concern is the government is keeping watch over the people that leave, maybe to dissuade them from leaving. Some even say the government delayed giving passports to children during the summer to stop families from leaving. The government’s single-shot solution of paying people for having children is a much worse waste of government money. Armenia has been paying people to have children for a long time. The government is currently planning to start paying in 2014 a massive 1 million and 1.5 million drams payment to families for any child past the second child. This is an expensive policy is a terrible waste of money because there is no multiplier effect. In any policy, the government should try to increase its multiplier effect. If building a new road costs 50 million drams but creates 300 million drams worth of activity, then it has a multiple effect of six. The money given for a first child will likely go to buy new clothes or items for the child. This has a multiplier effect of one. For the third and fourth child, the family already has many of the items they need, so they’ll buy fewer things, causing a multiplier effect of less than one. Considering the abundance of challenges Armenia faces, to promote a policy with a multiplier of less than one is a waste. Even worse, the poor families that are most incentivized to take advantage of the million dram offers are the least able to afford to have children. Poor families desperate for money might have a child primarily for the money. The million drams can help the family to live for at most a year or two. Afterwards, the family may still be poor and won’t be able to take care of the new baby. The baby may be sent to an orphanage or maybe worse; poor children are the most vulnerable to being trafficked by criminal groups. What the government needs to do is to make people not want to leave and feel confident about their futures to want to raise families in Armenia. To do that, the government needs to focus on why people are leaving. From 2002 to 2007, 94% of Hayastancis left to find better work. In 2010, 89% of Hayastancis said that unemployment, poverty or low income was the most pressing issue for their families. Without increasing employment options, Hayastanci will continue to leave, no matter what stopgap policies the government attempts. Increasing the number of jobs in Armenia is hard but doable. Use the millions of dram that would have gone to the third or fourth child and use that money on policies with high multiplier effect, or institute (free) policy choices that open up the market to new entrepreneurs, or make sure that foreign investors have redress for any fraud or corruption to encourage more investments. Any of these things will promote the economy and allow Hayastancis to stay. On a personal note, I want to mention how much more the government could do to encourage the Diaspora to return to Armenia. I am a member of the Diaspora who was able to come and live in Armenia for six months thanks to Birthright Armenia. I was a fellow at the Human Rights Defender’s Office through the coordination of Armenian Volunteer Corps. As my time was reaching an end, I spoke with as many people as possible to find a job that could keep me in Armenia longer. I was unsuccessful and still have yet to secure anything that can bring me back. I don’t deserve a job more than any Hayastanci, but without opportunities for young members of the Diaspora to work in Armenia, we can’t and won’t come back to live in Armenia. New programs like Repat Armenia are helping solve this problem, but the government could do more to encourage this immigration and help repopulate Hayastan. Gabriel Armas-Cardona is a graduate from New York University Law School and was a legal fellow at the Office of the Human Rights Defender of the Republic of Armenia. He regularly comments on the politics and human rights situation of Armenia on his blog http://humanrightsinyerevan.wordpress.com. Residents in the border villages in Armenia’s Gegharkouniq Province are leaving in greater numbers every year. Simple proof of this is the decreasing enrollment of area schools. Families just don’t see a future for themselves in the province. Local school principals have voiced their concerns that if the trends continue this section of Armenia’s border with Azerbaijan will be empty of Armenians altogether. Artash Khloyan, principal of the Kakhakn village high school, told Hetq that in 1996 the school had 117 students. Today, that number has dropped to 40. So has the number of grades; from ten to six. “Those who have the means are leaving the village. They are going to other parts of the country or overseas. I fought in the battle to liberate Kelbajar in 1993 and am trying the best I can to keep people here. It’s a bad situation and the same is happening in all the villages,” said Khloyan. When I asked what the reason for the exodus was, Khloyan advised me to ask those in government instead. Khloyan said the absenteeism is a problem because students don’t have proper clothes or shoes to wear to school. Many families can’t even pay for textbooks. The Kakhakn school is in pretty bad shape. The roof is constantly leaking when it rains. The windows are so old that it’s tough to keep the classrooms warm in winter. There is no running water in the school. Nelli Vardanyan, principal of the neighboring Arpounq village high school, says that the number of students in her school is also dropping. The village practically sits on the border with Azerbaijan. The school has an enrollment of 104, but a number of the grades have been merged. The principal says that while entire families aren’t leaving the village, the number of seasonal workers heading for Russia and elsewhere is on the rise. Most families say that they can’t afford to raise more than two kids. The village has no cultural club for youngsters to gather and pass the time of day. I wish I could bring better news. When will Yerevan be renamed allah verdi/god given? PRINCETON, N.J., April 4 Armenians have the greatest wish among those in post-Soviet states to move elsewhere, while Uzbeks have the least, a Gallup poll released Wednesday indicates. Forty percent of Armenians -- almost three times the 15 percent average -- want to move permanently to another country, while 5 percent of people in Uzbekistan, want out, the poll of adults indicated. Armenia is a landlocked, mountainous South Caucasus country between Eastern Europe and Western Asia. Uzbekistan is a landlocked Central Asian country south of Kazakhstan, near Afghanistan. Gallup conducted face-to-face surveys in Armenia, Azerbaijan, Belarus, Georgia, Kazakhstan, Kyrgyzstan, Moldova, Russia, Tajikistan, Turkmenistan, Ukraine and Uzbekistan from 2010 to 2012 and based its results on rolling averages. Fourteen percent of Russians say they want to move, the poll indicated. Most people surveyed say the main reason they want to leave is economic. Fifty-two percent of residents of the 12 former Soviet Union countries surveyed say they want to improve their standard of living or live in a country with a better standard of living, the poll found. Another 10 percent say they want to get a good job or cannot find a job in their own country. More than 1-in-8, or 13 percent, say they're thinking not of their own futures but of their children's in their wish to move. Adults -- defined as people age 15 and older -- in Turkmenistan and Kazakhstan, at 29 percent and 21 percent, respectively, are the most likely to cite their children's future as the main reason they want to migrate to another country. Four percent or fewer list a desire for greater social entitlements such as retirement and medical benefits, stronger human rights, less crime or fewer environmental problems, the poll found. "In contrast to the commonly held belief that reuniting families is one of the most important reasons for migration in the region, Gallup data show that it is not near the top of the list for residents in these 12 countries," Gallup said, indicating an average 3 percent say they want to be closer to family. Those in Central Asian countries, and those age 50 and older, are more likely than others to say they want to move to be closer to family. Gallup said governments in the former Soviet Union should make note of their citizens' concerns. "If countries fail to provide good jobs, many residents in the region may act on their desire to leave their country to find better employment and a better standard of living for themselves and their families," Gallup said. Gallup conducted the survey interviews with 41,072 people age 15 and older in the 12 countries. Of the 4,519 respondents who said they wanted to move to another country permanently, the survey's margin of error is 2 percentage points. The error margin for subgroups is larger, Gallup said. The State Migration Service says that 272,900 people left Armenia and 250,800 entered the country in Jan-Feb 2013, with the negative migration balance being 22,000. We know why those 272,900 are leaving and where they are going, but who are those 250,800 entering and where are they coming from? Who is lying? Are we speaking about tourists who after visiting Ejmiatsin, lighting candles, leave after 5 days. That is if they can find an Armavia flight out? Let me nominate Armenia as the champion of the LIARS&#146; CLUB. Kharatyan said in an interview to Business Express newspaper. moment against the officially reported 3.5mln. rate is 7-8%," Kharatyan said. remaining 1mln live in the fertile Ararat Valley. Edited by Arpa, 06 April 2013 - 08:43 AM. Above I goofed.I posted the site about Kharberd twice. Why do we have families named sivaz-LI-ian but none with Sebastian/Sebasta-TSI-ian? Harbut-LI-ian, but not Kharberd-TSI-IAN? On June 9, some 700 Armenian citizens from around the country boarded buses and left for Russia. I witnessed this mass exodus at the customs house at Armenian-Georgian border crossing at Bagratashen. Eleven large Mercedes buses lined up at the check point from 11 am to 11pm. The buses were headed to Moscow, Donetsk, Rostov, Krasnodar and points further afield in Russia. Those leaving hailed from Yerevan, Hoktemperyan, Etchmiadzin, Vanadzor and Alaverdi. One of the passengers Baregham Nikoghosyan, told this reporter that there were thirty residents of Etchmiadzin in the bus he was in. Some of the reasons given by those leaving Armenia were the recent presidential elections, unemployment, low wages, and heavy debt burdens. Some of them were farmers hit hard by recent hailstorms and didn’t see any way of getting back on their feet. Many confessed that there was little chance of them returning to Armenia any time soon, if at all. In fact, a majority argued that the Armenian government was doing everything to force them to leave. They said that the money gambled away by certain government officials in a day at some casino could, if properly spent, resolve the problems of any given village in Armenia. This is a very disturbing and sad story. Is this a dejavu of the 1940-s .repatriation, when Armenias population was so low it was at the risk of losing its status of a constituent Republic of the Union. How long do you think those repats will endure the deprivations, the corruption, the discrimination and the insults before they decide to move further west, or even back to those Arab hellholes? Should Armenians live in their motherland? Many Syrian-Armenians facing the need to settle in Armenia permanently give vague responses to this difficult question, trying to decide whether to stay or to leave, and if leave, then for where? My grandfather is buried in Aleppo. In his will he asked to transfer his remnants to Armenia and bury here, but even we living ones come and find no place for us. If we bring our grandparents remains, what shall we do with them? In his will he was teaching us to love our motherland and settle here, says Sepuh Keshishian, 58, who for the past month and a half has been staying at a guesthouse in Berdzor, Nagorno Karabakh, with his wife and two young children. The Keshishian family is from Syrias Kurdish Ras al-Ayn city, where they were one of only ten Armenian families, and had a house, animal-breeding farm, a café. They left all of it behind, and just like their ancestors, took the road of refuge, although this time to their motherland. Sepuh says in 2004 he visited Berdzor together with a few other Diaspora Armenians, it was then that he decided to go and settle there. I bought a house, a garage, but for different reasons the local authorities of that time took the house back from me, I even suffered financial damage. I have the garage in my property, and if they give us a house, I might stay and found a business, he says. It is hard to see our future here. The locals want to run away, be it Hayastantsi [Armenians of Armenia] or Karabakhtsi [Armenians of NKR], they sell their houses and escape to Russia. Rather far away from the guesthouse there is a newly built priory hosting Hakob Artin from Qamishli city, his Greek wife Ghada Ferhat and their two children. At the Ministry of Diaspora we were asked if we would like to go to Karabakh. To the question whats in Karabakh? were told a house, a job, livestock. We had no idea about Karabakh. For a year we lived in a guesthouse, now we live in a priory, where living conditions are better. They did not give us a cow, said you have two children. I am the car mechanic of Ishkhanadzor village with a salary of 100,000 drams ($250), but have not received it for three months now. Food is a big issue, we have to buy everything and are living in hardship, says Hakob. Hakobs family is one of the four who took an agricultural loan from Artsakh bank two million drams ($5,000) each with zero interest rate. They sowed barley, but the hail destroyed the crops. People said it would be all right. We were promised that one hectare would yield one ton of crops, but we got only 40 kilos, as a result we now owe to the bank and I have no idea how to pay it back. The $2,000 we had with us is long gone. If they give us a house and enough work to suffice for food and clothes, that would be ok, we would stay and live here. But right now it is only about trying not to starve, says Hakob with frustration. His wife Ghada says in broken Armenian, that all day long they recall how they used to live and compare to how they live now. With laughter at their own predicament they say their life has turned by 200 degrees. I made rice dolma [stuffed vine leaves] today. I go to the market, bring the things we need if I find. There is not much at the market, or if there is, its too expensive. Qamishlis market was rich, you could find everything for very affordable prices, says Ghada. The priory is hosting another family: Shamiram Vardanian has resided here for nine months together with her four children. They locked the doors of their house and a shop they owned in Qamishli and left. Shamirams kitchen has the inviting smell of eastern spices. She has made rice, chicken and potatoes. Once the war is over, I am going back, there is nothing here for us to stay and live. We differ from the locals with our customs, our language, our cuisine. We were born there, we lived there. Yes we are Armenian, we know our homeland is here, but living is hard. The locals, too, say it is hard, but they at least have their own places to live. If its hard for them, imagine how hard it is for us. All of their men are gone to Russia, says Shamiram. True, it is better than the war, we are living peacefully, without fear, but we have to be able to have a life. They are yearning for re-finding their lost homes here, in the motherland, have a small business to earn their living. Keshishian, with his businessmans sense, says Berdzor has a treasure, especially for animal husbandry, but he is reluctant about investing in agriculture. For strangers like us it is very difficult here and very risky to take a bank loan and invest in agriculture with no guarantees of good weather conditions. Also, we keep hearing stories of people who lost their businesses because of high taxes or they say if we work they will take it away from us as soon as the business runs well. We hear and fear. Nonetheless, there is wealth here, then why arent there jobs? says Keshishian, who works as the guesthouse guard with 36,000 drams ($90) salary per month. I have come with an expectation that they would give me a house, and that I could found a small business. But if they do not, and I cannot afford buying one myself, I will sell the garage and leave. There is no way back [to Syria], our life there is over, so I would probably move somewhere close to Yerevan, say, Masis or Abovyan towns, he says. Robert Matevosyan, head of the re-settlement department of Kashatagh administrative district, told ArmeniaNow that those are groundless speculations and that there are numerous examples of when Diaspora Armenians have succeeded in business there. He denies the claims of immigration from the region as well. In 1992 (during the war), Armenian forces took control over Berdzor (Lachin) town and the Lachin corridor, which was also called the road of life, since it was the only land communication between Karabakh and Armenia. Zangelan, Kubatlu and part of Lachin (which are among the seven disputed regions around former Autonomous Republic of Nagorno Karabakh have been re-arranged into Kashatagh region with 3,376 sq.km total area, and the re-settlement of this area is of strategic importance. By the 2011 data of the NKR labor and social affairs ministry, 8,500 people reside in Kashatagh. This southwestern part of Karabakh has now 38 Syrian families, nine of them in Berdzor, the others in Kovsakan, the second largest city, and Ishkanadzor of Kashatagh region. Two private houses are being built in Berzdor, sponsored by benefactors, and two more are sponsored to be built. The construction of multi-storey dwellings in Kovsakan and Ishkhanadzor is expected to be completed in two months. An urban settlement is planned to be developed in Kashatagh with all its respective infrastructures. We are solving two important issues: first, that we are the owners of these lands and by the appropriation of them we answer the political question; second, that we are using these lands for food provision and, in general, economic purposes. We have to have a standard settlement, rather than one for only 10-15 families, said NKR Prime Minister Ara Harutyunyna during a meeting in Kashatagh. Two of many such stories. 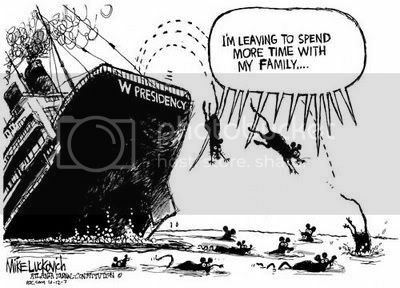 How many Sergeys are emigrating like rats abandoning a sinking ship, vs one Immigrating Sebouh? Working out of his garage, Sebouh is making a wood stove. He says its the stove season. Theres a lot of work, but he has no one to help him. Even though his name on the passport reads Sibo Vachinyan, everyone in Berdzor knows him as Sebouh, the Syrian-Armenian. Locals of Berdzor, the capital of the Kashatagh district of Artsakh, say hes the most successful Syrian-Armenian to have relocated here because hes started a business and he loves to work. Thus, Sebouh wont be leaving his new home. In the meantime, other Syrian-Armenians who have moved to Berdzor dont know if theyll stay on or leave. Sebouh tells me that he arrived in Berdzor in 2004 and bought a house and a car. He wanted to get married in Armenia and settle down in Berdzor. But he says they cheated him and took his house back due to some problems with the former owners.[/b]1. So, a disenchanted Sebouh returned to Syria. When the war broke out, he decided to come back to Berdzor. This time, he arrived with his family. He was able to obtain ownership rights to the garage he had purchased all those years ago and started to make stoves and stovepipes. After returning to Syria from Armenia, Sebouh marries Vano Georgos. Shes an Armenian, a Catholic, who didnt know Armenian. Shes trying to pick up the language after relocating to Artsakh. 2. We got so busy with work, we forget about our own personal lives, says 58 year-old Sebouh, explain his late marriage. Today, the couple has two children five year-old Avo and two year-old Tatiana. Every day at 6am Sebouh goes to his workshop. At 9am, he takes the kids to kindergarten and picks them up at five. They have dinner, and Sebouh then returns to the workshop for several more hours. Sebouh isnt one to complain about the shortage of work orders, but it upsets him when customers dont pay or ask to cut them some slack. They tell me, give us a break, but they dont want to give me a break, says Sebouh, adding that he needs to get paid on time in order to purchase materials for pending orders. Someone present at our conversation jokes and says that it took awhile for Sebouh to learn the local way of doing things. Locals would come and ask for a grace period to pay. Theyd tell me, write my name down in your accounts payable book, says Sebouh, adding that hed tell them that where he comes from such a thing isnt done. So, the locals would answer, if you cant write our names, remember them, Sebouh says. In the evening, Sebouh prepares a lentil and onion soup for dinner. Vano is preparing a number of chicken dishes. Sebouh boasts that he makes a better soup than his wife. Sebouh says the family has gotten used to life in Berdzor and the only big problem remaining is housing. The family lives in a guesthouse allocated for Syrian-Armenian families. He says the government has promised to allocate the family a house of their own very soon. Sebouh tells me that back in Syria he owned a house and a farm where he raised some 3,000 pigeons. Thats all behind me. Our final objective is here, Sebouh says. 1. Have we seen such stories before? 2. I wish the authors would clarify. What does being Catholic have to do with not knowing Armenian? How many Apostolic and other Armenian know the Language? Why do our American Armenian friendswrite using the Latin Alphabet, and our Russian Armenian friends write in Cyrillic? Shall we ask the Catholic Mkhitarists? Who single handedly saved and revived the Armenian Language. Lucy Vartan and her husband Vartan relocated to the Artsakh town of Berdzor from Qamshli, a Syrian community on the Turkish border, in October 2012. They brought their three year-old daughter in tow. Lucy confesses that the move to Berdzor, the provincial capital of Kashatagh, wasnt easy at first. It was difficult, but we learnt. At first, I didnt understand. I slowly got used to things here. They helped me a lot, says Lucy, whose name reads Lousavard in her passport. When we came from Syria things were better. There were air flights. My husband said we should leave while we have the chance. He was right. Now, there are no planes out of Syria, says the young woman who works at a local kindergarten as a comptroller. While Lucy has seemed to settle into her new surroundings, other family members werent as flexible. Her younger sister Garineh has returned to Syria, even though she was admitted to Stepanakert University. Lucy says that her sister didnt interact much with locals and complained that her Armenian wasnt up to snuff. The two attended an Armenian school in Qamishli up to the ninth grade. Lucys mother has also returned to Syria, and so has her younger brother who was going to school in Berdzor. She says her brother had gotten used to his new home and really liked Berdzor. Lucys father Artin has stayed on in Berdzor and now lives with his daughter and her family. Artin and his son-in-law now work in the town of Kovsakan. When I asked Lucy if the family was thinking about moving there she threw me a grin and said, It took us a year to get used to Berdzor. Kovsakan is too far away from everything. Lucy and Vartan, married for four years, first met at an Armenian social club in. She has no complaints about her new life in this Artsakh outpost. Her only real nagging worry is that she cant communicate on a regular basis with family back in Syria. As for her husband Vartan, he has a brother serving in the Syrian Army, while another has also relocated to Berdzor. Edited by Arpa, 12 January 2014 - 09:53 AM. Many Armenians in qamishli, after first War, Adopted Chaldean church to have jobs in Syria, under French mandate. The patriarch's surname, of chaldean church, is Sako. Edited by Johannes, 12 January 2014 - 11:37 AM. families and money to the west. market relations are not enforced. have established the pattern of quotas, monopolies and racketeering. operation of this system, i.e. officials, political parties, etc. redistribution of property to capitulation deals with Russia. possible that ransom is needed in the homeland? Liska has stayed to run what business? What has he left half-done? I wish would would be speaking about happier subjects. They asked an expat if hed return to Armenia, he said Over my dead body. How many more such stories doe we know? Above we saw the reptriation of Mr. and Mrs. Manouginas. Renowned conductor Aram Gharabekian will be laid to rest in Armenia, the Ministry of Culture news service informed Armenian News-NEWS.am. As per the news service, at present, Gharabekians family is preparing the relevant paperwork to have his body transferred from the US to Armenia. It is yet unknown exactly when his body will be brought to Armenia, but, perhaps, this could take place by the end of this week. An Armenian governmental funeral commission, led by Culture Minister Hasmik Poghosyan, will be set up in connection with Gharabekians passing. Famous Armenian conductor Aram Gharabekian, who was former Director of the National Chamber Orchestra of Armenia, died suddenly, on January 11 in the United States, at the age of 58. ԹՌՉԷԻ ՄԵՌԱԾ ՄԱՐՄՆՈՎ ՏՈՒՆ ?? Above I meant to ask this not so rhetorical question, but I chickened out. I will ask it now. How many of our ex-pat and Diaspora born friends here and elsewhere who now live in the cushy corners of the Diaspoa have stipulated in their will and last testament their dying wish that their lifeless bodies be buried in Yerevan? I wish my lifeless body fly to Armenian? Indeed! Who invented the word Hypocrisy /Hye-Pocrisy? My uncle upon his return from the then Soviet Armenia had brought a box with soil from Yerevan which, his son scattered over his grave in Watertown. Yes, today those lifeless bodies fly on modern jets, unlike the old days of Leaky Arks/ wobbly Ocean Liners.